Rio Salado College welcomes Shawn Korman as the new Faculty Chair for Physical Science, Food and Nutrition, Sustainable Food Systems and Sustainability. Korman has been a part of the Rio family for more than 10 years, serving as an adjunct faculty member in chemistry, a course developer, and acted as the ELN liaison to the EDU department to assist with adjunct faculty and student matters. "I am excited to be a part of an institution that allows students the flexibility to continue their education even with the varying demands of life," Korman said. "My passions are teaching and science and this position gives me the opportunity to ensure that students are getting the very best they can from Rio Salado." Korman holds a bachelor's degree from Arizona State University, and a M.Ed. from Northern Arizona University. 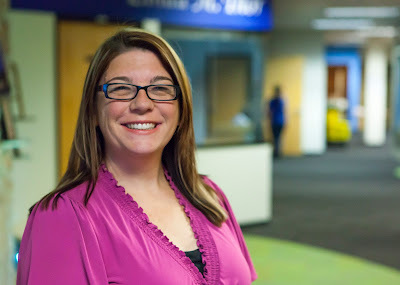 "We are excited to have Shawn join our Rio Salado family and our small faculty cohort," said Rio Salado Faculty Senate President and Faculty Chair of English & New Media Studies and Curriculum Development Jennifer Shantz. "Shawn has been a valued adjunct faculty member of the college and brings a wealth of experience with her as she transitions to her new role. The faculty look forward to collaborating with her on various initiatives, including student success and adjunct faculty support.